Hello everyone, today I got my Signal Box Fan in the mail that I got from a fellow member for just the cost of shipping. It turned out to be a 20" Model and I was under the impression that it was a 12" model from the pictures because it looks exactly like the one my church has which theirs is a 12" model with the window attachments but this one is basically the 20" version of the fan my church has, and like I said it was hard to tell from the pictures. When I first got the fan the rear plastic grille was damaged in a couple of spots which I think it was damaged previously because it had old epoxy on the breaks, but I think the breaks might of broken again during transit in the mail but not sure and also when I went to put the front grille back on and when to try and run the fan the blades would hit the grille (and it seems like its done it in the past as well because there's nicks out of one of the blades in a couple of spots). Also the rubber motor mounts will need to be replaced before putting the fan into regular service because the motor vibrates like crazy when the motor is getting up to speed but not sure where to source the correct motor mounts for this fan, I don't know if Ace would have anything or if I have to go to some specialty shop to find something. 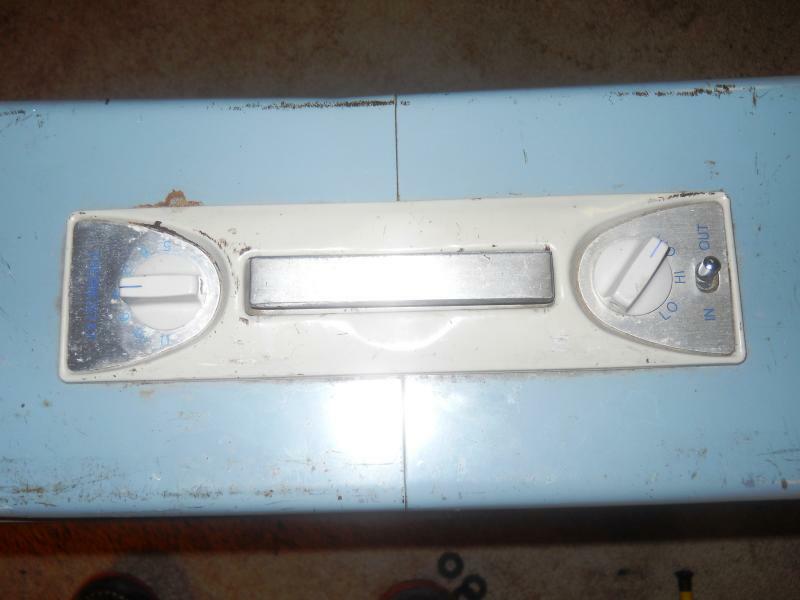 I have some pictures below of the fan in question. Also, when I first got it the motor made a weird noise like a bearings going bad kind of noise when I would run the motor with the blade assembly on, which I had attributed to a lack of a spacer washer/fiber washer in the motor which I bought a new fibre washer and installed it in the motor and now the motor runs quietly like its supposed to. 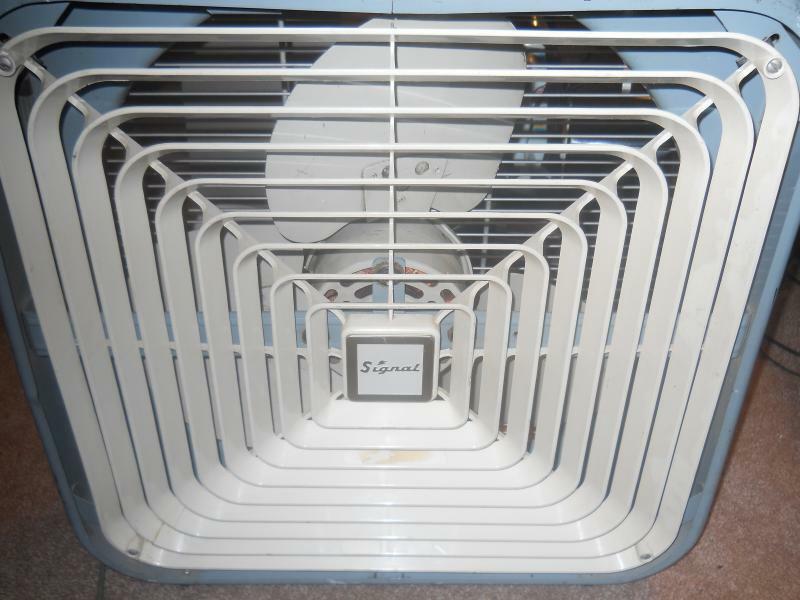 another thing I noticed about this fan is that it has a 3/8" shaft rather than a 1/2" shaft like most 20" box fans have. I also re-epoxied the broken parts of the rear plastic grille of the fan using gorilla epoxy. Like I said in my previous post I have got most of the kinks worked out of the fan already I just have to replace the original rubber motor mounts as they are more or less dry rotted and deteriorated to the point that they don't absorb any of the motor's vibrations anymore and because of that the fan and the motor vibrate excessively when the motor comes up to speed and while the fan is running specifically on high, its not at noticable on low speed setting. 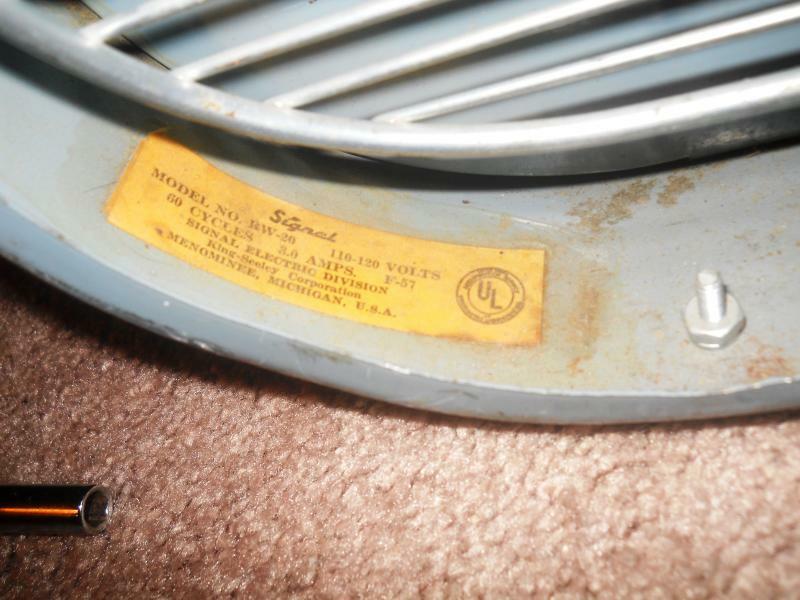 I would like to know where I could source some rubber motor mounts like the ones on this fan currently, I don't know if Ace Hardware would have anything or if I would have to go to an electrical supply house or a motor shop or what. Does anyone here know of a source where I could get this fan a new set of rubber motor mounts to calm the motor vibrations down on this fan? Would these vibration dampening gromets pictured below from the McMaster-Carr Catalog work to replace the original motor vibration dampening motor mount gromets that were on this fan? Ace hardware has drawer(s) with various shape/size rubber dampers. OK, thanks, I was wondering about that because there is an Ace hardware about a mile up the road from me which is closer than Lowe's is which is about 5 miles from me and along a busy road. So what is the reason for using rubber motor mounts for mounting the fan motor to the fan's frame rather than just using just plain motor to frame contact like most fans use? Levi Mevis wrote: So what is the reason for using rubber motor mounts for mounting the fan motor to the fan's frame rather than just using just plain motor to frame contact like most fans use? Isolating motor/blade operation vibration is always a good idea. If the motor and blade and well balanced the less vibration they create. Rubber feet under the desk fan base help absorb the vibration created by the fan motor resonating through the base. The rubber dampers if present help to reduce factory errors regarding motor and blade balance. I don't think manufacturers like Bersted turned out fans balanced under the standards of a Swiss watch. Be careful not to think to much, Levi. Ok, thanks for the info. So what you're saying is that this Signal Box Fan is actually better quality than an Eskimo, or Air King Box Fan which doesn't use the rubber motor mounts? Levi Mevis wrote: Ok, thanks for the info. So what you're saying is that this Signal Box Fan is actually better quality than an Eskimo, or Air King Box Fan which doesn't use the rubber motor mounts? The Signal Box Fans are the Cadillac of box fans. Eskimo and Air King really aren't in that league. Ok, I was wondering about that. I kind of figured the Signal Box Fans were pretty high end but I didn't realize they were that high end. My church has the 12" version of this fan in an upstairs window complete with its original window attachments. 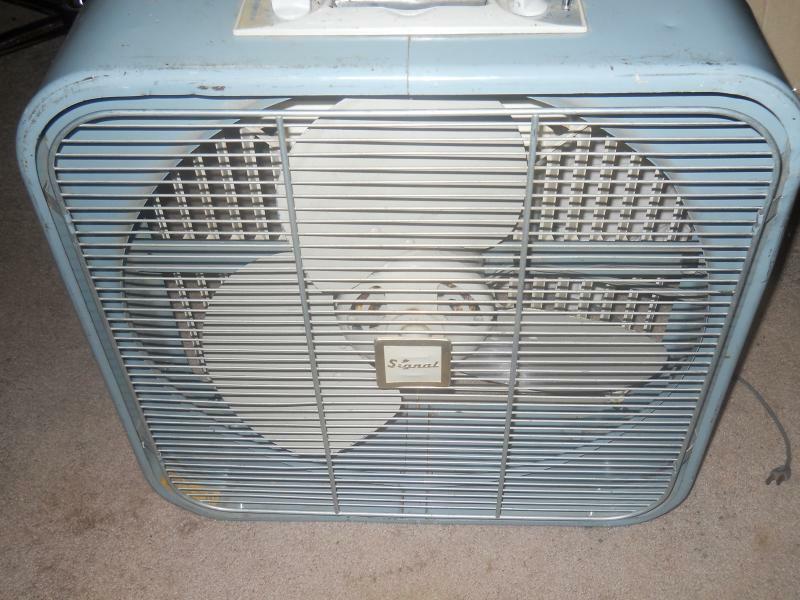 Well went to my local Ace Hardware and they didn't have anything, went to my nearby Lowe's and they had what I needed, got the old rubber motor mounts for this fan replaced and now this fan runs like a charm and is probably the quietest box fan I own currently, especially on Low. Page processed in 0.1804 seconds (20% database + 80% PHP). 30 queries executed.